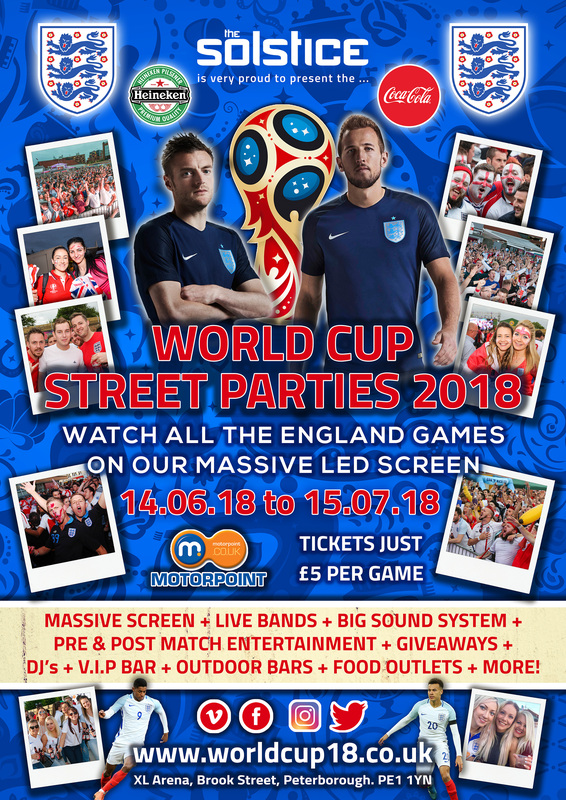 ​We are delighted to announce that we will be hosting the next street parties for the World Cup 2018 at the XL Arena, Brook Street Peterborough. We will return with all the shenanigans we always put on with a MASSIVE LED Screen to watch all the England games on plus LIVE! Bands + DJ + Entertainment Host Kev Lawrence from Heart FM + Giveaways from Motorpoint + tickets to be WON at the Motorpoint Arena across the UK.